Properties in Magny-en-Vexin average 4.8 out of 5 stars. family vacation 1 hour from Paris! Property 18: family vacation 1 hour from Paris! The lodging the Old Fournil is an old building of 1850 entirely renovated. 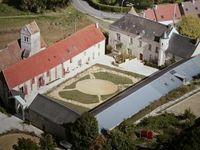 Property 20: The lodging the Old Fournil is an old building of 1850 entirely renovated. House on the banks of the Seine between Vétheuil and Giverny! 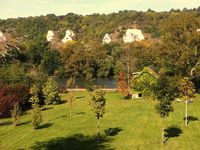 Property 36: House on the banks of the Seine between Vétheuil and Giverny! Loved the open floorplan. Large rooms. The horses and the flies were a bit much. There was trouble with leaky pipes and so there were large water marks on the carpet and walls. Hopefully they can get those fixed. Other than those things, a great place to stay. Hosts were marvelous.